A Cotter man with a string of criminal charges stretching back 15 years landing him in the Baxter County jail 56 times since 2001 was back in Baxter County Circuit Court Thursday. Thirty-five-year-old Aaron Tullos was allowed to enter the treatment program at Care Center Ministries and warned if he left the program for any reason, he would wind up in jail. The latest arrest for Tullos came on Jan. 25th when a Baxter County deputy sheriff responded to a call of a man apparently passed out in a vehicle and who was reported to have a handgun in his front waistband. The deputy found Tullos in the back seat of a vehicle parked along Powell Street in Cotter. Two of Tullos' relatives said he had first been let off at a friend's house along Melba Street. They said the friend had called and said Tullos was acting "very strange" and had a firearm. The relatives picked up Tullos and took him back to their residence along Powell Street. When they attempted to take him out of the vehicle, Tullos became "verbally violent" and the pair called the police. After the deputy arrived on the scene and made contact with Tullos, he began to actively resist the deputy but was subdued and taken into custody, after a Gassville police officer arrived and provided assistance. The deputy reported at one point in the tussle, Tullos attempted to reach behind him, perhaps to retrieve a small knife the deputy located in the back pocket of the Cotter man's pants. The deputy took control of the knife and threw it away from the spot where he was trying to subdue and arrest Tullos. An unloaded .40-caliber handgun was also taken from Tullos. Tullos was asked if he had any other illegal items on his person and was warned he was going to jail and if he did have contraband in is possession, he might wind up with additional charges. Tullos responded he didn't care. While Tullos was being booked into the jail, he was alleged to have dropped a small plastic bag containing what appeared to be methamphetamine. The substance weighed 10.7 grams, according to the probable cause affidavit. He was also found to have a set of digital scales. 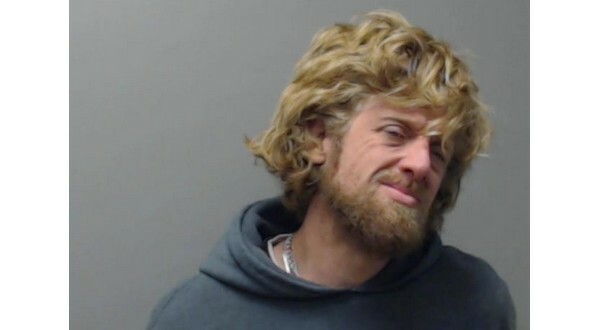 The charges filed against Tullos stemming from his latest arrest include being a felon in possession of a firearm, possession of drugs and drug paraphernalia, simultaneous possession of drugs and firearms, taking prohibited items into the jail, probation violations and being a habitual offender. Simultaneous possession of drugs and firearms is a Class Y felony -- the most serious crime classification in Arkansas. Tullos' first criminal case showing up on electronic court records was filed in June 2003. He was being held in the Baxter County jail with bond set at $150,000.